The International Rice Research Institute (IRRI), Philippine Rice Research Institute (PhilRice), Department of Agriculture (DA), and the University of Southern Mindanao (USM) launched the Heirloom Rice Project North Cotabato at a two-day workshop in Davao City on 13-14 January. The project was formally opened with the ceremonial signing of a memorandum of agreement with representatives from the North Cotabato provincial government and the municipalities of Alamada and Banisilan. Located in the southern part of the Philippines, the province is home to several heirloom rice varieties including Dinorado, Kasagpi, Azucena, Hinumay, and Awot. The MOA signing was graced by Dr. Zaldy Boloran, regional technical director for operations of the Department of Agriculture-Regional Field Office in Region XII; Hon. Virginia Concepcion, municipal mayor of Alamada; Hon. Betty Allado, municipal mayor of Banisilan; Engr. Eliseo Mangliwan, provincial agriculturist of North Cotabato; Dr. Francisco Garcia, president of the University of Southern Mindanao; and Nollie Vera Cruz and Digna Manzanilla, co-project leaders of the Heirloom Rice Project. 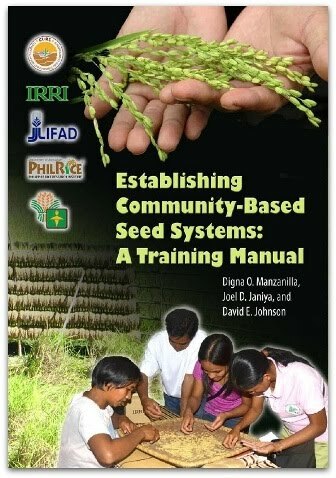 The Heirloom Rice Project, initially started in the Cordillera Administrative Region (CAR) in Northern Luzon in March 2014, aims to enhance the productivity and enrich the legacy of heirloom or traditional rice through empowered communities in unfavorable rice-based ecosystems through varietal development to market linkages. Around 50 participants from the four project sites in CAR—Benguet, Ifugao, Kalinga, and Mt. Province--DA-Regional Field Office–CAR, IRRI, PhilRice, and USM attended the workshop. Vicky Garcia, executive director of RICE, Inc., the project’s NGO partner, also joined the activity. The workshop was mainly a review of the project’s accomplishments to date and the initial identification of interventions needed as the project progresses to its second year. Team members from each of the four sites in CAR and in Alamada and Banisilan presented the results from the baseline and participatory needs and opportunities assessment surveys conducted among heirloom rice farmers in the first year. They also presented the results from the rapid value-chain assessments conducted in September 2014. 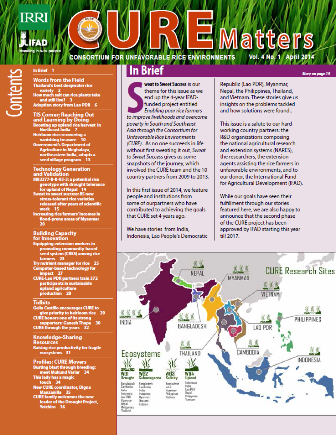 The information collected from the surveys revealed issues and challenges for the project team, the farmers and producers, and other stakeholders, especially in the production and marketing of heirloom rice varieties. Despite the challenges, the team remains positive and is moving forward with all the project plans. At the end of the workshop, Dr. Vera Cruz commended the participants for the success and productivity achieved by the group. She reminded everyone to remember the vision of the project which is to contribute to the inclusive growth of the marginalized areas in the uplands that will benefit farmers in the long term.